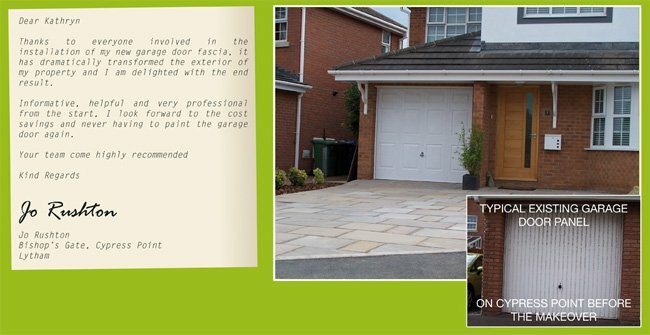 I write regarding the fitting of insulated fascia panels that your company recently fitted my double garage. 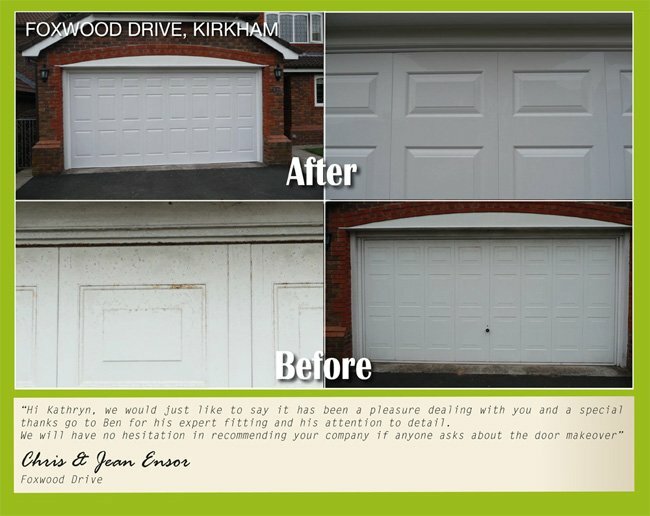 I originally intended to replace two garage doors, however when your surveyor visited he suggested a new concept of veneer panels. Your surveyor was informative and reassuring. I have to say the doors look fantastic. Furthermore at close inspection the quality of the workmanship and material used is second to none. I would like to thank you and your team for the significant cost that I saved and a truly professional and helpful approach from start to finish. Thanks to everyone involved in the installation of my new garage door fascia. It has dramatically transformed the exterior of my property and I am delighted with the end result. Informative, helpful and very professional from the start. I look forward to the cost savings and never having to paint the garage door again. We would just like to say it has been a pleasure dealing with you and a special thanks to Ben for his expert fitting and his attention to detail. We will have no hesitation in recommending your company if anyone asks about the door makeover.